We are putting in a patio for the trailer to park on in the side yard. Last weekend a small backhoe came and dug out the area. Then Tuesday the base rock was delivered. 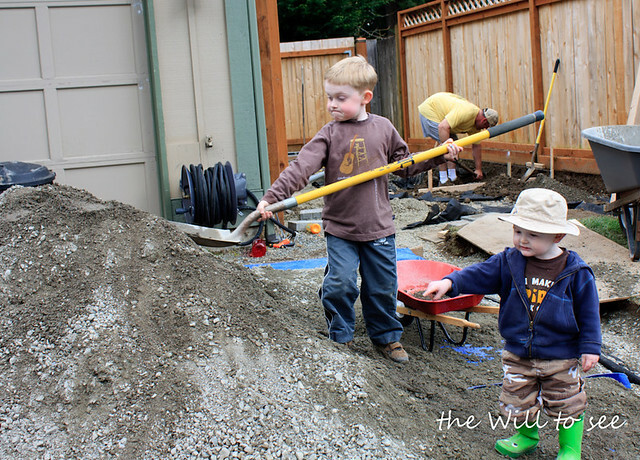 Once Jack got home from school he got his wheelbarrow out to help. I think he needs a smaller shovel though. Notice Will pointing at what needs to be done.